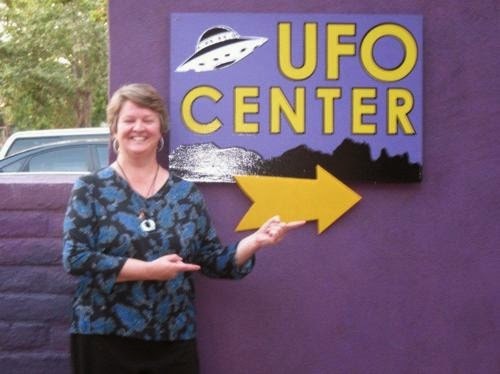 I went on a UFO sighting tour in Sedona, Ariz., with a woman who says she has been abducted by aliens. It happened quite spontaneously, after I casually picked up her brochure in a local shop. The brochure came with this promise: Sightings are guaranteed or your money back. Hard to pass that up, and I was curious. 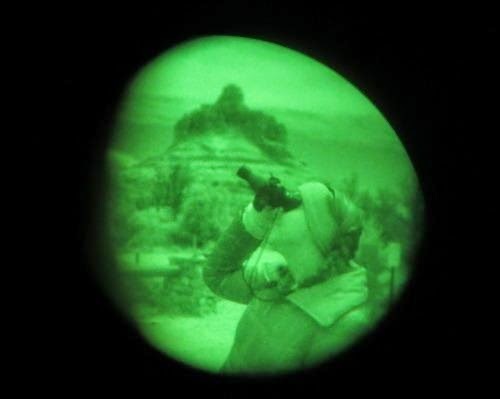 Within 24 hours, I found myself scanning the night sky for “unknowns” (aka UFOs) with military-grade night-vision goggles. Before you start judging (and perhaps you already are), know that I entered into this experience with a fair amount of skepticism, not the wide-eyed merriment of a gullible tourist. Even though I think it’s arrogant to believe that humans are the only intelligent life in this infinite universe, and as a child of the ’80s I loved the idea that E.T. and ALF could be real, the idea of flying saucers still inspires a chuckle in me. Nevertheless, I am unabashedly drawn to the quirky and questionable, and Sedona is an epicenter for a special brand of wisdom or woo-woo — take your pick. It’s a sort of New Age Disneyland cradled in spectacular red rock formations. The Arizona town attracts visitors from around the world who are drawn to its menagerie of psychics, mediums, chakra balancers, spiritual healers, yogis, and energy vortex guides. 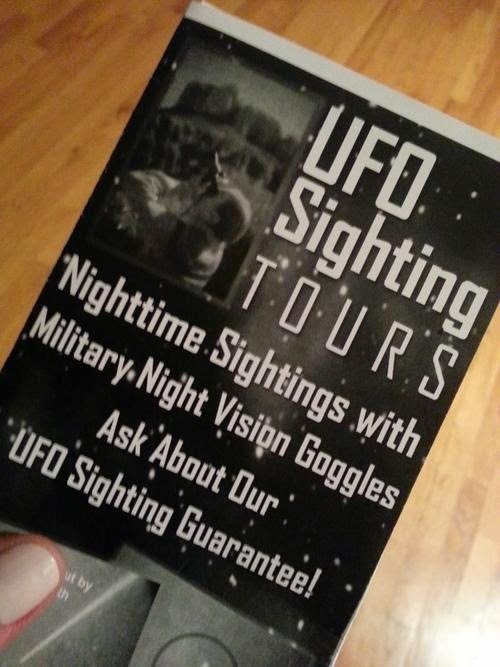 In other words, a UFO sighting tour isn’t weird in Sedona. I figured it would be an adventure. My guide was Melinda Leslie. She leads nightly UFO sighting tours out of the Center for the New Age, a one-stop shop for all activities and trinkets under the New Age umbrella. A chatty woman with a Girl Scout-like enthusiasm for UFOs, Melinda comes with some serious extraterrestrial street cred — or, more appropriately, sky cred. 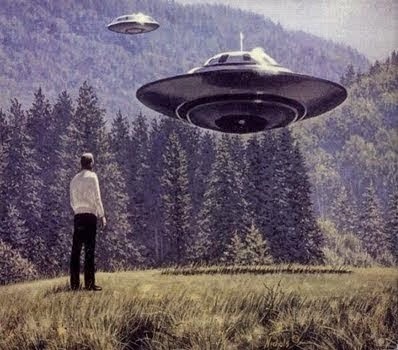 Melinda, who says she has been abducted by aliens herself on several occasions, has been involved in the ufology field for more than 25 years as a researcher, investigator, lecturer, and author. She has co-produced entire conferences around the topic. Melinda says these encounters aren’t new, since the Native American tribes in the Sedona area have been receiving visits from the “star people” (aka aliens) for centuries. But she says UFO activity has increased significantly in recent years. Perhaps that’s why she’s so confident with her “sightings guaranteed or your money back” promise? My UFO sighting tour kicked off just after sunset. According to Melinda, the first few hours after sunset are the best time to spot “unknowns” in the sky. Melinda and I drove off to two different locations to scan the sky with military-grade third-generation night-vision goggles. Costing roughly $3,500 per pair, the goggles are pretty badass. They amplify 20,000 times more light than is capable of being seen by the naked human eye. When I looked through them, I could see thousands and thousands of stars above, including numerous shooting stars. The constellation viewing alone was spectacular. When I scanned the landscape on Earth, however, everything was an eerie green hue. This creeped me out, especially given the nighttime silence, and I half expected a little green man to pop up out the bushes or scamper out from behind a rock formation. So I kept my eyes to the sky. It’s where they belonged, anyway. Leslie instructed me to look for quick-moving orbs of light in the sky and to follow their trajectory. She explained that commercial airplanes and military aircraft have a rhythmic blinking light, and satellites, while unblinking, travel all the way to horizon. “Unknowns,” on the other hand, would be unblinking lights that vanish at least 30 degrees above the horizon — signaling that the object left orbit. Melinda said this is evidence that whoever or whatever was controlling the object is an intelligent life form. A NASA engineer or a pilot on my tour would have been a big help with these technical questions, as aerospace physics is not my forte, but I was the only one to sign up for the tour that chilly night. We spent nearly three hours watching the sky, with Melinda peppering the silence with stories of past sightings, including eight instances of alien spacecraft obvious to the naked eye. While my experience wasn't so “Close Encounters of the Third Kind” dramatic, I did spot eight “unknowns” floating across the sky during our time together. One in particular gave me serious goose bumps. It happened during my fourth “unknown” spotting. Whenever Melinda or I would see something through our goggles, we’d shine a green laser pointer into the sky to identify it for the other person. I used the laser to point out for her a fast-moving, unblinking orb. After I did this, the “unknown” flared back brightly. Melinda excitedly asked for the laser and shined it on the orb again. Once more, it flared back at us, even brighter than the first time, before disappearing shortly thereafter, almost directly above us. Whatever it was up there, it appeared to react to that green laser pointer. In that moment, UFOs weren’t making me chuckle — rather, the episode both excited me and scared the s*** out of me. But what’s the fun in going with “normal” all the time? One of the great joys of traveling, at least for me, is the opportunity to challenge everyday boundaries and learn something new — even if it means dabbling in ufology and playing around with night-vision goggles in the middle of Arizona’s Red Rock Country.